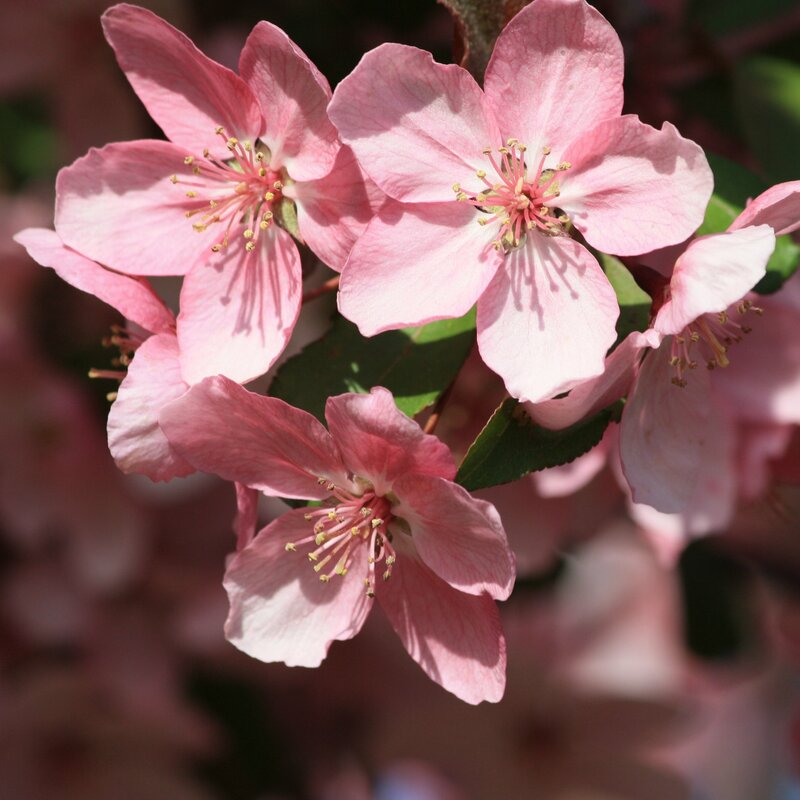 Free high resolution close up photo of pink spring blossoms on a crabapple tree. Crabapple trees bloom in the early spring with wonderful fragrant flowers or blossoms. They are generally considered ornamental trees even though they do produce small bitter apples. This picture is free for any use.